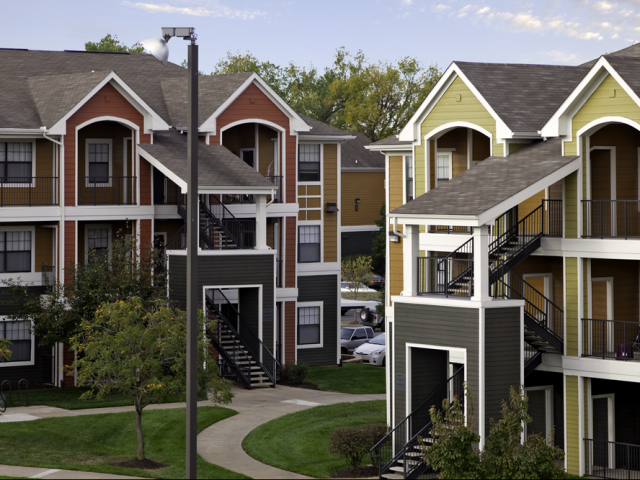 For affordable KU apartments in Lawrence, KS, look no further than The Reserve on West 31st. Located just minutes from the University of Kansas, Baker University, Haskell Indian Nations University, Washburn University and Johnson County Community College, our apartment community has 3- and 4-bedrooms with spacious living and dining areas, and balconies. Plus, every apartment is furnished and comes with a full-size washer and dryer. There’s no need for a gym membership thanks to our 24-hour fitness center, swimming pool, and basketball and volleyball courts. And our computer lab (with free printing) provides a quiet environment for studying and schoolwork. On-site maintenance ensures that issues are handled promptly, and roadside assistance means residents are never stranded. Rent includes all utilities except electric, and online payments are available for your convenience. To see our beautiful apartments for yourself, contact us today and schedule a tour. We’d love to show you around!